Researching Garifuna led me down the first of many internet rabbit holes from this Bonus Mini series. This time, it's all about different languages for different genders. BONUS MINI: Cuba + Is Cuban Spanish Hard? Ooo! Bonus Mini episode?! Yes! Over the next 7 weeks, I'll be sharing 7 Bonus Mini episodes with you. To get us started? We're in Cuba and asking the question: Is Cuban Spanish hard? Bonus Language Stories?! Yup. Woohoo! This episode, I chat with Àdhamh Ó Broin who is working to bring Dalriada Gaelic, an endangered dialect of Scottish Gaelic, back from the brink. Guarani is an indigenous language that defies all odds to exist today as it does alongside Spanish in Paraguay. But what odds? How does it thrive in the modern world? 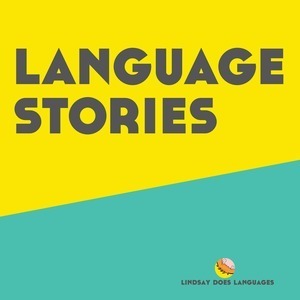 In this episode of Language Stories, we're exploring the story of Guarani in Paraguay. Every language has a unique story, but Nicaraguan Sign Language is pretty special. A language emerging in the 80s amidst a revolution? 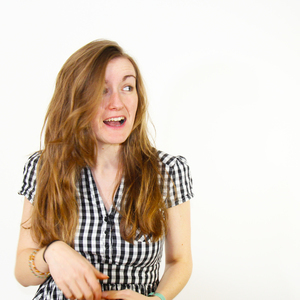 In this episode of Language Stories, we're exploring the story of Nicaraguan Sign Language. K'iche' is a Mayan language spoken in Guatemala by over a million people. Join us for this episode of Language Stories as we explore K'iche' Maya at a local homestay and in a busy market town, as well as learning how to learn K'iche'. Nahuatl is a language spoken in Mexico that maybe you've never heard of until now. But guess what? You know a word in Nahuatl. It's another Mini Episode! This time we’re in Tikal, Guatemala, aka Rebel Base Yavin 4, and we’re talking all things...Star Wars. In particular the languages of Star Wars. We're making our way up North America. This time we visit Montreal, a city that goes beyond the French and English bilingual expectations you might have. This is episode 3 of Language Stories - Montreal: Beyond Bilingual. Havana, Cuba has a Chinatown. Nothing too unusual about that, right? Well what happens when that Chinatown doesn't really have a Chinese population? This is episode two of Language Stories. New York City is undoubtedly one of the most multicultural in the world. So what's it like to live there as someone interested in languages? In this episode we meet with 5 local New Yorkers to hear about their experiences living and learning languages in such a diverse city and to learn about the projects that have developed from living in this inspiring place. Episode 0: Preview: Language Stories coming November 10th! A little preview of what to expect on November 10th 2017 when the first episode of Language Stories launches!